1. 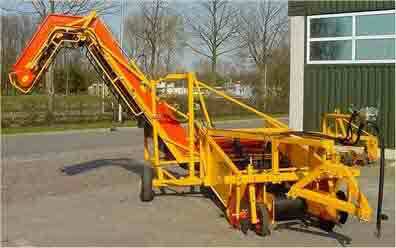 Before harvesting the plants have to be topped by a haulm topper or field-topper. 2. Then the product has to be dug up and placed in the middle of the plant bed. Also called wind-rowing. 3. 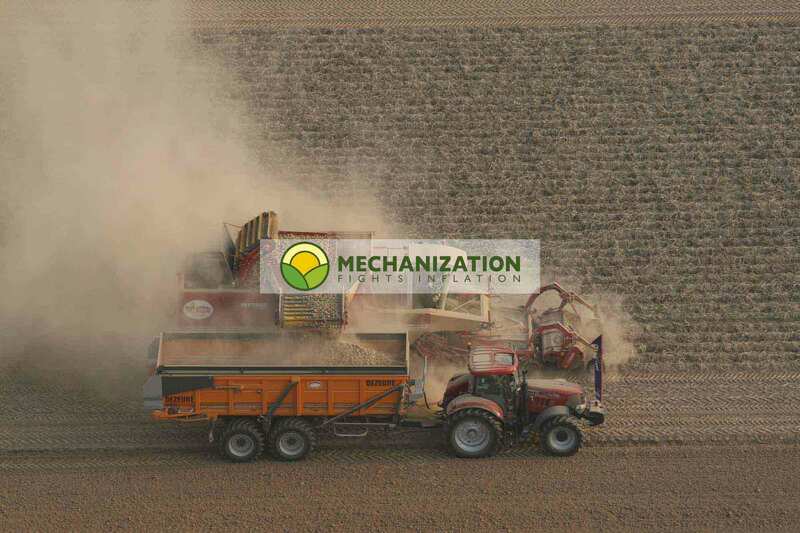 Once the product has been windrowed it has to be loaded on to dump trucks or cart, for final transport to the storage or handling and packing line. The haulm topper chops up the foliage (field topping), leaving it in small pieces on the field for later incorporation. 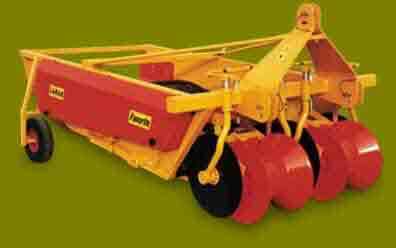 It is also possible to use a haulm topper in front of the tractor and a harvester/windrower at the back of the tractor. Harvesting onions: the field topper at the front and the windrower at the back of the tractor. 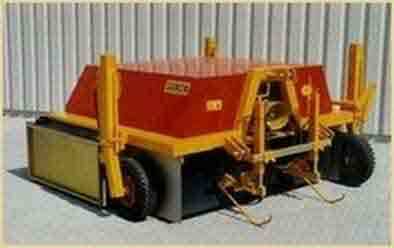 This combination of equipment does 0.75 hectares per hour. After topping and wind rowing the onions are loaded upon a dump cart, at a rate of 1.0 hectares per hour. 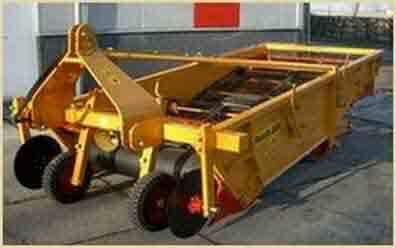 Loading a hectare per hour or ten hectares per day! 3. Lift the potatoes or onions from the field and load them in a dump truck or cart. For mature potatoes the cutting or topping of the foilage is not necessary, because the plants of mature potatoes have died, at the time the potatoes are mature.